When was the last time you heard one of the dread phrases in sales? Those in sales cannot help but cringe whenever they hear, “I need to think about it”, “We don’t have the money/time right now”, or “We are currently using/considering XYZ”? 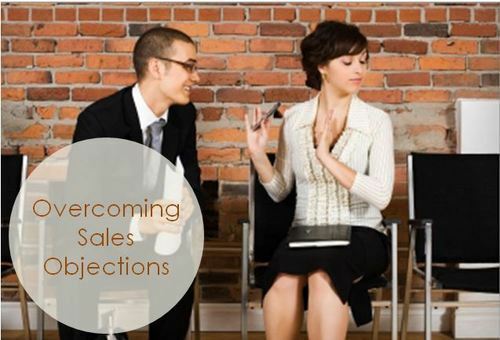 Overcoming objections is never easy but these three are among the most challenging. The trick lies in properly identifying the real meaning behind each objection and responding accordingly by effectively communicating your product’s value to win the sale. “I need to think about it” stands out among the most challenging sales objections for its ability to stall and ultimately paralyze the sales process. The trouble is it isn’t a specified “no”, but rather a vague response that doesn’t give you any direction on overcoming their objection. So what do you do? To overcome this smokescreen, you need to find the real objection. Don’t settle for a, “Let me know when is a good time to call you back?” When your prospects “need to think about it”, it is time to pull out your listening cap. Try asking open-ended questions, e.g. “Other than needing to clear that matter up, is there anything else keeping you from purchasing this product today?” And don’t forget the magic question “What else?” By asking “What else”, you gain the opportunity to see all of the cards on the table. Another approach, providing options, works best when you have a good feeling for what their real objection is. Discussing available options will force your prospects’ objections to crystallize. 1) I’m not going to be a deal for whatever reason, and I just want to get off the phone. 2) I kind of like the idea, but I’m going to have to find the money or talk to my partner, or something else is holding me back. 3) I really like the idea, and I just have to move something around before I say yes. This can be a frustrating situation to be in; you feel like your lead is hot yet there’s nothing you can do to close it. Now is the time to give your prospect some space and put them at ease by assuring them that you are in it for a long haul. As Mike Brooks advised, say something like “I totally understand. You don’t need to think about buying anything right away. I just want to meet with you so that you can see how our solution can benefit you. Then you can think about it once your budget gets freed up.” And at the same time, provide your prospects with materials that validate the value proposition including: ROI numbers, referrals, and/or success stories of other customers (including success stories of your prospects’ competitors), etc. Bring up on the prospects’ competitors: This is a good tactic to use if you have worked with one of your prospects’ competitors. Mentioning how your product has helped one of their competitors will pique their interest and help them envision how your product can give them an edge over other competitors. Are you ready to knock out those objections? Click here to try a two week free trial of Badger Maps. Share your own approach with us on Twitter or Facebook.